Gift giving for me is really easy. 90% of the time I get it right! The other 10% is usually a disaster. Like the time I bought my mom a frame for Mother's day and it fell apart in a few weeks. 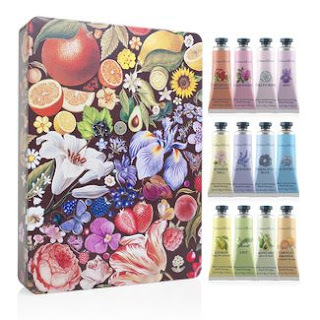 Crabtree & Evelyn can help you pick out the best gift for your love one. Candles, perfumes, creams the list goes on. One of my favourites on the site is the Hand Therapy Paint Tin ($60.00 CAN). It's comes in a gorgeous floral tin are which houses 12 ultra-moisturising hand creams (25g in size). This is not your typical basic hand creams they are formulated with rich ingredients such as macadamia nut oil, one of my favourites shea butter, and ceramides. This is therapy for your hands! Right now, I've been prepping my hands with lavender so I can have super soft hands before the wedding! The ladies are loving the Skintimate Skin Therapy Silky Skin Shave Gel with Moroccan Oil. Check out what my Spiced Beauty Readers had to say! When I received my Skintimate Skin Therapy shaving cream I was pleasantly pleased with the package, it had a very nice design and highlighted the Moroccan Oil and that its lotionized with vitamin E. When I was ready to use the shaving cream I squeezed a small amount into my hand and a luscious pink mound of shaving cream came out, the smell is amazing, I worked it onto my legs and it was a nice creamy lather, the smell seemed to get better as it was smoothed onto my legs. After shaving my legs and even days later, my legs felt silky smooth, I had no irritation and my legs felt hydrated and not dried out at all. I love the way it makes my legs feel while I am shaving and after I am done, I love the smell and I love the hydration I get from the Moroccan oil. I am so pleased with this product, thanks for letting me try this product. I received my Skintimate Skin Therapy Silky Skin Shave Gel with Moroccan Oil and had a chance to try it. I was quite happy with the results. First I love the scent and the amount of latter if provided. The shave gel gave me a close shave and left my skin feeling so soft and so moisturized. Can't wait for the weather to warm up and I can wear shorts to show off my legs. Overall I really liked the Skintimate Skin Therapy Silky Skin Shave Gel with Moroccan Oil. It had a great consistency that allowed me to put it on easily. The light fragrance was perfect and not too overpowering. The gel did it's job and shaving was a breeze with no nicks or skin irritations. The addition of Moroccan Oil meant that my skin felt lovely afterwards. I will definitely pick this one up again when I'm shopping for shaving gel. My legs are so smooth thanks to Skintimate Skin Therapy Silky Skin Shave Gel with Moroccan Oil! Before receiving this sample I just dreaded shaving my legs! I dreaded it so much so I barely shaved my legs during the winter (scary!). After using this sample it changed my thoughts about shaving drastically. My skin on my legs stopped cracking, I had no more razor burn and my legs had a beautiful shine after my shower. Not to mention the smell is amazing! I will definitely be buying this in the future and I will recommend it to all my friends! So glad I received the opportunity to try this product. The Skintimate Shave Gel with Moroccan Oil was a beautiful product. I liked how it came out in a lotion form and lathered up really well! It smelled beautifully light and wasn't at all overpowering. Also, a little went a long way which was great! The shave itself was really close and the razor slid very easily over my skin. After rinsing my skin was extremely smooth and soft which is a great side effect to have in a shaving product! I also smelled fantastic afterwards! I also loved the beautiful purple packaging! I would not hesitate to purchase this product in the future for myself and my daughters! I really liked this shaving cream. It was a cool texture (and colour!) when I dispensed it. Once I rubbed it in, it foamed and lathered like any regular shaving cream does. It smelled awesome and left my legs really soft and hydrated after. I will absolutely be buying this again! Armed with a new shaver and the Skintimate Shave Gel with Moroccan Oil....and 10 minutes of me time I tested this new product. I suffer from dry skin and I find that many gels and creams cause my skin to be sensitive and flaky. Not the case with this product. I have used it three times now and love it! It lathered up all nice and thick and resulted in a nice close shave. My skin feels super soft, silky, smooth and did not zap the moisture from the areas I shaved. I totally recommend this product and thank you for the chance to review it. What I first noticed about this product was the tiny amount I needed. A small dollop of gel quickly transformed into a nice, thick layer of foam covering my legs. I was able to get a really close shave with no irritation at all and my skin was left feeling incredible! It's like the product acts as a shave gel and a moisturizer together. The shave gel has a nice, feminine scent and rinses clean easily. I also liked that the lid has bumps, making it really easy to open even with wet, soapy hands! I was very pleased by the Skintimate skin therapy silky skin shave gel with Moroccan Oil, in terms of both scent and feel. I liked that the scent was pleasing but not overpowering. When I squeezed some gel from the can, it was very gel-like which caught me off guard but as soon as I tried to apply it, it became light and fluffy and very smooth to put on the area. My skin felt quite smooth after I was done with shaving and it allowed the shaving process to be much smoother and therefore closer. I felt like I was able to get a closer shave than I would if I were using regular soap or some other product. I will continue to use product for my shaving needs. In fact, my husband also tried it and preferred it to the male-scented products he uses. He might not admit it to his friends but he would rather use this. Shaving cream was never really a must for me as I just used my shower gel and figured there wouldn't be much difference. I was so wrong! Firstly, the Skintimate shave gel applies evenly with a wonderful, yet not overpowering, scent. Razors glide easily to give a very smooth shave. Best of all, I got no nicks, which almost never happens. The Moroccan oil really helps with moisturization and gave me the silkiest feeling legs I've had in a very long time. I can honestly say that the Skintimate shave gel does make a difference. I'm converted! I liked the Skintimate Skin Therapy Silky Shave Gel with Moroccan Oil. A few of the cons were that it didn't lather as much as my usual shave gel and i also got a few nicks. It is better than Skintimate shave gels i have tried in the past. I liked the light scent and the color of the gel and bottle. I stopped using shaving cream last year because I was not able to find a formula that didn't irritate my skin. I was excited to try this gel because of all the great things I've heard about Moroccan oil. The gel is think and smells amazing. It foams into a rich, creamy lather that is thick enough to last for my shave without requiring reapplying. I found the cream enabled me to get a very close shave and I didn't have any irritation at all. My legs felt so smooth that I didn't even feel the need to apply moisturizer after I was finished. I will definitely recommend this shave gel to my friends. Thanks again for giving me a chance to try it out! I'm definitely a convert to this brand! This shave gel was a pleasure to use! It comes out of the can as an opaque pink gel and then turns into a white foam when it is rubbed in. Compared to other shave gels, I found this product much creamier, thicker and richer. I usually use soap for shaving and sometimes it can cause razor irritation. With this skin therapy shave gel, my razor glided right over my skin with no drag or irritation. My legs were left soft, smooth and perfectly moisturized. I didn't even feel a need to apply moisturizer to my legs. Overall, I really liked this shave gel and will continue to use it for my shaving needs. Thank you for the opportunity to test this shave gel! Congratulations to Cheryl H. from Ontario for winning the $100 Visa gift card! I worked at H&M for 4 years. It's such an amazing company. I still miss it. Since I left, there has been so many new items added. I'm excited to announce that H&M now has a beauty products! Be prepared to see a full makeup collection (700+ items) plus beauty tools, haircare and body care this Fall. It will be available in over 900 stores worldwide. “We are very excited to have ‘fashion for the face’ on offer at H&M. It’s an opportunity to be inventive and creative, and to have fun with colors”, says Sara Wallander, concept designer at H&M Beauty. 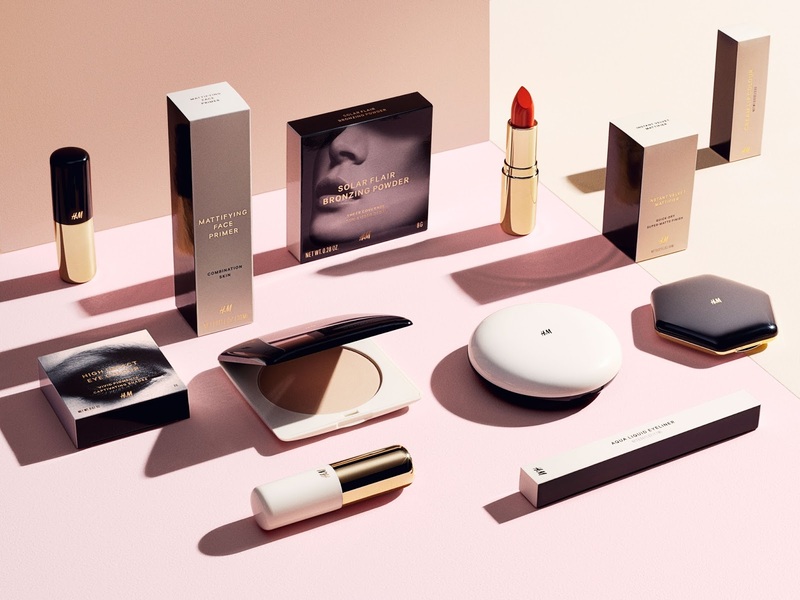 Please note-The range, which will replace existing beauty products at H&M. So stock up now! It was immediate love when these showed up at my door. The construction of the brushes, size and bristles are extremely high quality. One of the biggest selling features for me is the plastic encasing that it comes with. Yes... you can buy something like that separately but it's always so hard to get the perfect fit. Perfect for high definition coverage. Areas like your eyes and nose get blended easily. Amazing with liquid foundations but still suitable for powder. -RO tip: For targeted use, buff in product and then pat and roll product onto the desired area. For full coverage, massage product into skin in a circular buffing motion. Works with liquid, powder & cream. Pro Tip: After makeup application, sweep this brush along the T-zone, jaw, and forehead to create a smooth and blended look. Have you seen these in Sephora yet? 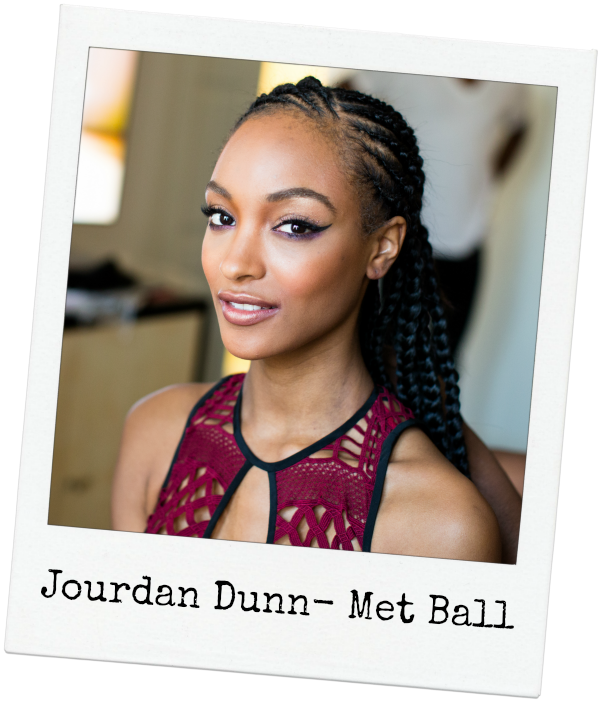 I really like Jourdan Dunn! She went from being spotted in Primark 9 years ago to being the first black British model on the Forbes list! ICONIC!!! Plus she comes from a West Indian background like me. She was at the MET ball and her makeup was done with Maybelline products- I have the scoop! 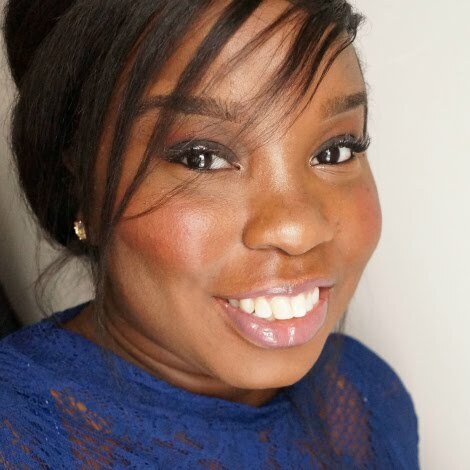 Maybelline New York Master Prime in "Blur + Illuminate"
-Mauve toned shades on her lid and crease. Maybelline New York Eye Studio Color Tattoo 24HR Cream Gel in "Bad to the Bronze" + "Pomegranate Punk". Maybelline New York Eye Studio Lasting Drama Gel Eyeliner in "Blackest Black"
Maybelline New York Lash Sensational Black Pearl Waterproof Mascara. I'm need that palette ASAP! When it comes to hair, I think that everyone should have the opportunity to have fun. Wear protective styles! Play with your texture! Since I've been doing me for the past two months, I decided to try out more natural styles. 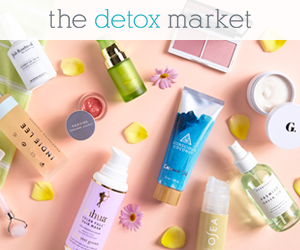 A Canada based beauty store named Aonebeauty.com allowed me to try out some brands that they sell. I have a beauty supply store near me but it's so popular that everything is always sold out! C) Deals and allows me to save money!!! Let me point out that I'm not being paid to promote anything. I'm just a bride-to-be/new home owner who now pays bills and can't depend on mommy and daddy anymore.. LOL! Moving on.... I have a very TIGHT and defined curl pattern. Shrinkage is NOT my friend. I've always heard really good things about elongating curling gels. 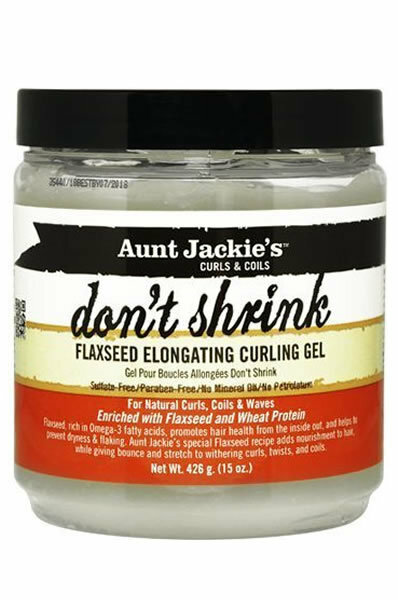 I decided to give Aunt Jackie's Curls & Coils Don't Shrink Flaxseed Elongating Curling Gel ($8.99 CAN) a try. I didn't know that flaxseed is a natural remedy for scalp health! It's anti-thinning and promotes hair growth. It's best to use it on clean hair. Like fresh out the shower hair! When it's slightly damp, I take a nice quarter sized amount in my hands and apply it from root to ends. 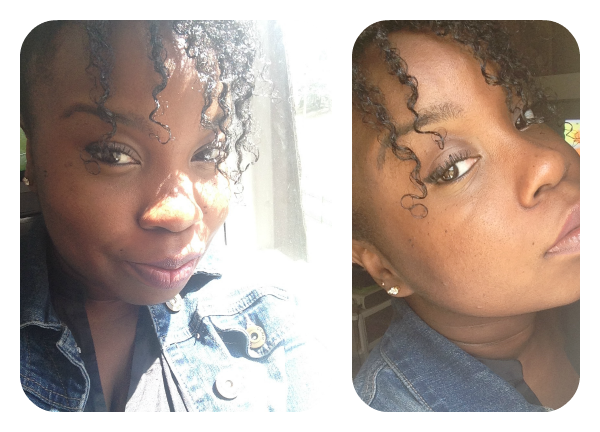 I tried it on hair with product and it didn't go so well when I wanted curls but worked well with twist outs. Just something to think about. 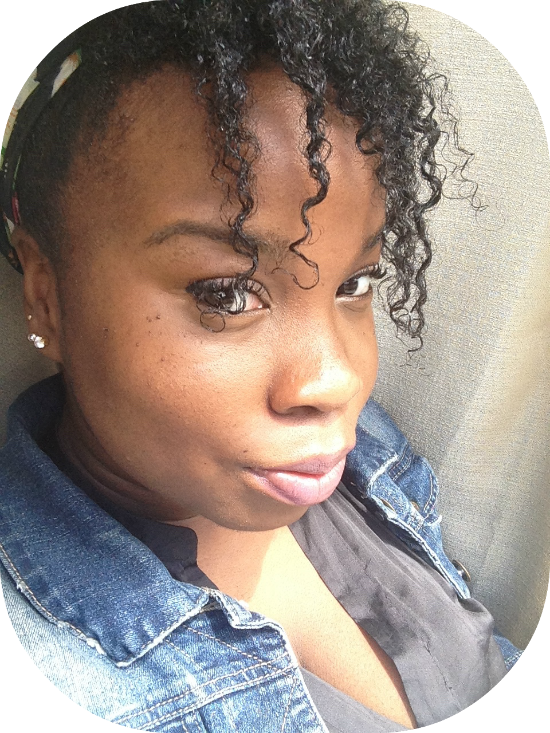 Have you tried a curl elongating curling gel before?